If you want to work for yourself after massage school, or if you are already a practicing massage therapist who wants to shift the focus their massage career, consider the many benefits of a mobile massage practice. Do the Benefits of a Mobile Massage Practice Outweigh the Cons? To be fair, every type of business ownership has its pros and cons. 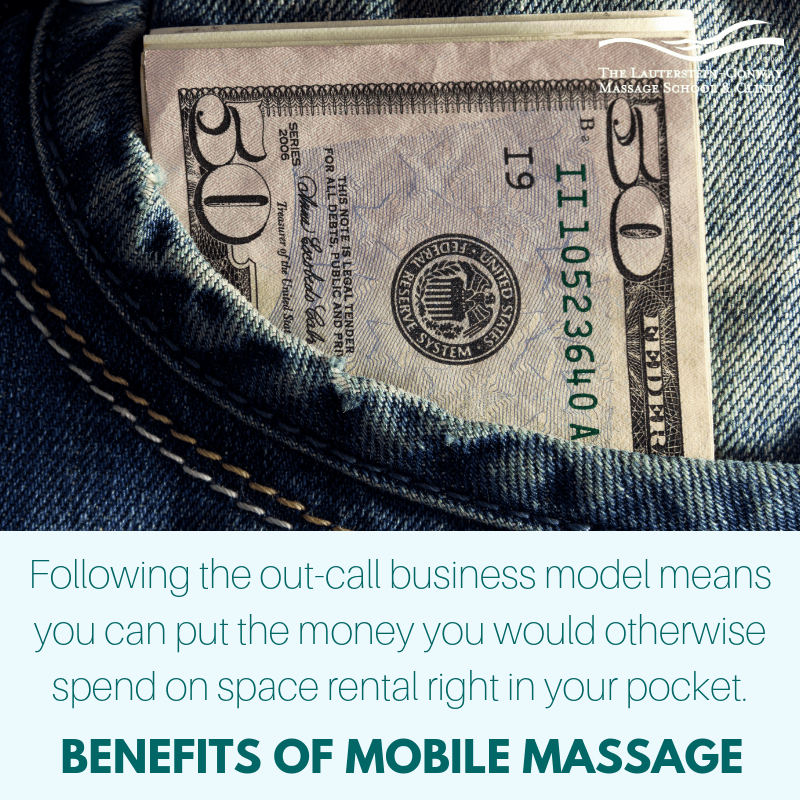 Following an out-call business model for when building your massage practice won’t be the right path for everyone. For example, if you live in a rural area, it may be less expensive to rent a massage space and have clients come to you. Additionally, if you you struggle to lift your massage table or don’t have a vehicle that will easily accommodate it, that’s another problem. Do you have a mobile massage business? Share your thoughts and feedback. We’d love to hear. This entry was posted in 500-hour Massage Program, All Articles, Alumni Stories, Massage Careers, Massage Facts, Types of Massage and tagged massage career, mobile massage, work for yourself. Bookmark the permalink.